Minneapolis, MN – March 20, 2014 – Concrete Software, developers of rock solid mobile games, is pleased to announce the adoption of Tapjoy’s new nGen Platform. 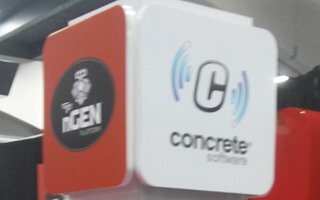 Concrete Software has partnered with Tapjoy in the past, using their systems in their most popular and successful titles, but the new nGen Platform promises to increase user engagement with contextually relevant advertising, and they’ve already started seeing results. Concrete Software has integrated the new nGen Platform into both the Android and iOS versions of their popular PBA® Bowling Challenge title and has plans to take advantage of the system in many more titles moving forward.